ENN said Thursday in a statement that its board decided to terminate the proposed deal after shareholders voted against it, a blow to the Japanese industrial conglomerate, which has long sought to shed the money-losing business. Caixin learned that the opposition mainly came from ENN’s second-largest shareholder, Hony Capital, a Chinese private equity firm owned by Legend Holdings Corp., parent company of Chinese tech giant Lenovo. Toshiba agreed last November to sell 100% of Toshiba America LNG Corp. to ENN for $15 million as part of a restructuring plan to focus on its core businesses. As part of the complex deal, Toshiba also agreed to make a one-off payment of $821 million to ENN to pass on a potentially money-losing 20-year LNG purchase commitment from a Texas company. The deal was initially planned to be completed by the end of March, subject to approval by the two companies’ shareholders and the Committee on Foreign Investment in the United States (CFIUS), the U.S. government body that vets the national security implications of foreign direct investments. Toshiba said last week that the CFIUS review of the deal was delayed because of the U.S. government shutdown earlier this year. The panel has blocked investment deals from China in the past because of concerns about security or transfers of U.S. technology. It’s not clear whether ENN will be responsible for terminating the transaction because the agreement didn’t include a breakup fee for either party. The terms give ENN a chance to walk away without any cost, said Zhang Weihua, a legal expert in cross-border mergers and acquisitions. According to the agreement, either party could terminate the deal if wasn’t completed by March 31. If the only reason for the delay in closing was failure to obtain CFIUS approval, the closing date could be extended by 90 days, the agreement said. In a statement posted on its website, Toshiba said it was informed Wednesday by ENN that its board decided to terminate the deal. 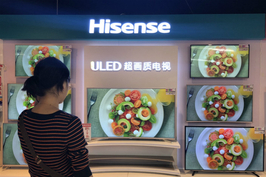 The reason ENN gave for the termination was that the transaction was not completed by the closing date as agreed, leading to uncertainty in proceeding, Toshiba said. Toshiba said it has not yet received official documentary notice from ENN regarding the termination and will seek further clarification from ENN. ENN said the main issue discussed and voted down at its shareholder meeting was a guarantee arrangement in relation to the deal. Toshiba currently provides a parent company guarantee for its U.S. LNG unit in respect to obligations under the liquefaction contract with Freeport LNG in Texas. After the deal was completed, ENN was supposed to replace Toshiba as the guarantor. However, ENN chose to keep Toshiba as the guarantor and compensate Toshiba for its guarantee instead. 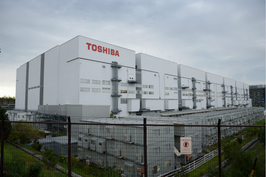 Under the agreement, ENN would be required to pay Toshiba a $7 million guarantee fee each year. If Toshiba were required make any payment to Freeport under the guarantee agreement, ENN would compensate Toshiba for the full amount. In addition, ENN would also be required to provide Toshiba with a bank guarantee letter of $500 million as a credit enhancement measure. Now that the Chinese buyer is backing out, Toshiba may need to seek another buyer, but that won’t easy. 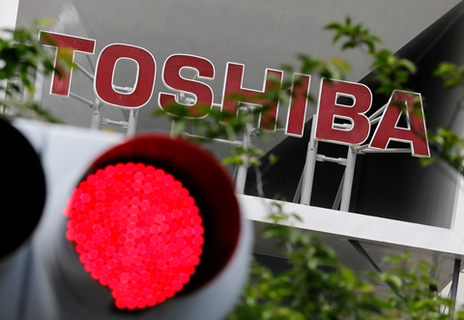 Toshiba previous said it could face a loss of as much as 1 trillion yen ($9 billion) without a sale of the operation. Since the deal with ENN was announced in November, LNG prices have sharply declined. Freeport LNG, to which Toshiba has a commitment of roughly $7 billion to purchase 2.2 million tonnes per year of LNG over 20 years starting in 2020, has faced construction delays.